Georg Wilhelm Friedrich Hegel(b. August. 27, 1770, d. November. 14, 1831),German Idealist Philosopher, author of Phenomenology of Spirit or Phenomenology of Mind(1807), Science of Logic(1812-16), and Encyclopedia of the Philosophical Sciences(1817) and other works and lectures. He developed theories of Ethics, Aesthetics, History, Politics, and Religion. He developed a Dialectical scheme that influenced the development of Existentialism, Marxism, Positivism, and Analytic Philosophy. 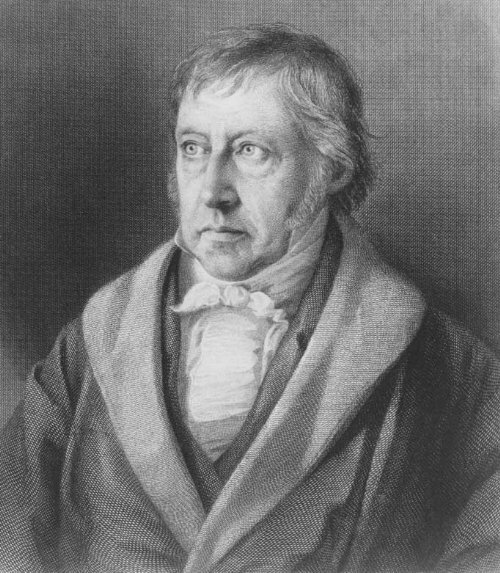 Georg Wilhelm Friedrich Hegel influenced most facets of modern philosophy. At the center of the universe, Hegel posited an enveloping absolute Spirit that guides all reality including human reason. His absolute ‘Idealism’ envisages a world-Soul, that develops from, and is known through, a process of change and progress termed as the Hegelian Dialectic. The doctrine of ‘Idealism’ makes the attempt to account for all objects in nature and experience as representations of the mind, and sometimes it assigns to such representations a higher order of existence. According to Hegel, reality is Absolute Mind, Reason, or Spirit which manifests itself in both natural and human history. His famous dictum, “the real is rational and the rational real”, is an expression of the identity of reality and the rational process. Because reality is rational, it acts in accordance with the laws of reasoning. Hegel suggested that understanding the nature of thought will lead to understanding the nature of reality as a whole. Dialectics is a form of logical argumentation that could be applied to diverse fields including thought, nature, and history. Hegel identified dialectic as the tendency of a notion, or idea to pass over into its own negation as the result of conflict between its inherent contradictory aspects. He developed the concept that Mind or Spirit manifested itself in a set of contradictions and oppositions that it ultimately integrated and united without eliminating either pole or reducing one to the other. According to Hegelian principles, one concept or ‘thesis’ inevitably generates its opposite or ‘antithesis’; their conflict or interaction generates a new concept or ‘synthesis’ which in turn becomes the ‘thesis’ of a new triad. Hegel developed a dialectical scheme that emphasized the progress of history and ideas from ‘thesis’ to ‘antithesis’ and then to a higher and richer ‘synthesis’. His main contribution is that of giving a clear view of reality; Reality can only be understood as a totality, “The Truth is the Whole”, and that the attempt to understand the apparently individual and unconnected phenomena of nature, history, and human life through separate categories of thought is utterly mistaken. I would like to endorse his view and submit that Reality must be known as a Whole. 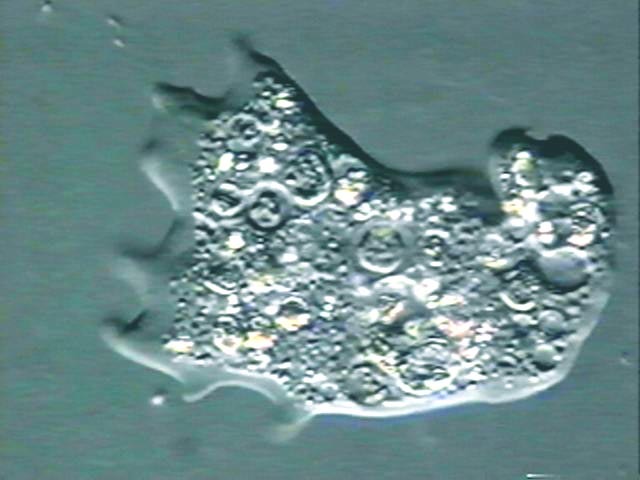 Amoeba proteus and the understanding of Reality as a Whole or the 'Whole Truth'. To understand the reality of human life, we need to know and understand the Reality of a material substance that is common to all living organisms. This common substance called Protoplasm is found in all living cells including the cells of human brain, an anatomical organ that is associated with thinking,and Mind the seat of thoughts. However, I would ask all of my readers to know and understand Protoplasm, the substance in which thoughts are generated and reside. 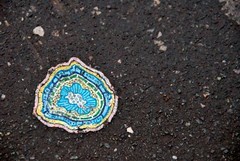 I give attention to the Spiritual Nature of this substance and divert attention from Mind and Brain. Hegel in his book, Phenomenology of Mind or Phenomenology of Spirit has traced the progression of consciousness from sense perception to Absolute Knowledge. In my view, Amoeba proteus is conscious and intelligent. I speak about Spirit or Soul in relation to a material substance called Protoplasm. I would hesitate to equate Mind with Spirit as that would mislead people to think of consciousness and intelligence as the exclusive biological functions of an anatomical organ called brain. At the same time, it must be clearly understood that brain and mind perform their specialized functions using the same living matter or substance that is found inside Amoeba proteus. The fact that brain and mind perform very complex functions should not hide the fact of the true or real nature of Protoplasm. There is inherent conflict in the nature of Protoplasm. It is inherently unstable; the living matter is thermodynamically unstable, and without continuous supply of energy from an external source, it will dissolve into its constituent inorganic molecules and non-living physical elements. This nature of energy dependence and the risk of its dissolution is the ‘thesis’ and it is opposed by its potency and potential to remain immutable, or unchanging, the ‘antithesis’. Protoplasm is unstable and is stable at the same time. It has survived and has continuously lived on the surface of planet Earth for billions of years after having come into existence. We have account of several major and minor extinction events and yet Protoplasm has remained and existed without any apparent change in its properties, characteristics, and functions. Protoplasm has demonstrated the potentiality called Imperishability, indestructibility, Immortality and the ability of Eternal or Everlasting Life. The interaction or conflict between unstable(‘thesis’) and stable(‘antithesis’) nature of Protoplasm has generated a new ‘synthesis’ called Immortality or Everlasting Life. I call this higher state of existence as ‘Dialectical Spiritualism’. Man is a physical, Mortal Being and his body substance is Perishable. Through the process of Dialectical Spiritualism, the conflict and interaction between the unstable and stable nature of Protoplasm which is a Spiritual substance, man progresses towards his goal of becoming a Complete or Whole Spiritual Being and his body substance will exist in its higher state of existence of Imperishability. The Medical Doctrine of Dialectical Spiritualism proposes the hypothesis of Man’s Immortality or Everlasting Life as a higher state of existence of a mortal or perishable substance that has developed the potentiality and progressed towards its natural goal of Imperishability and indestructibility.